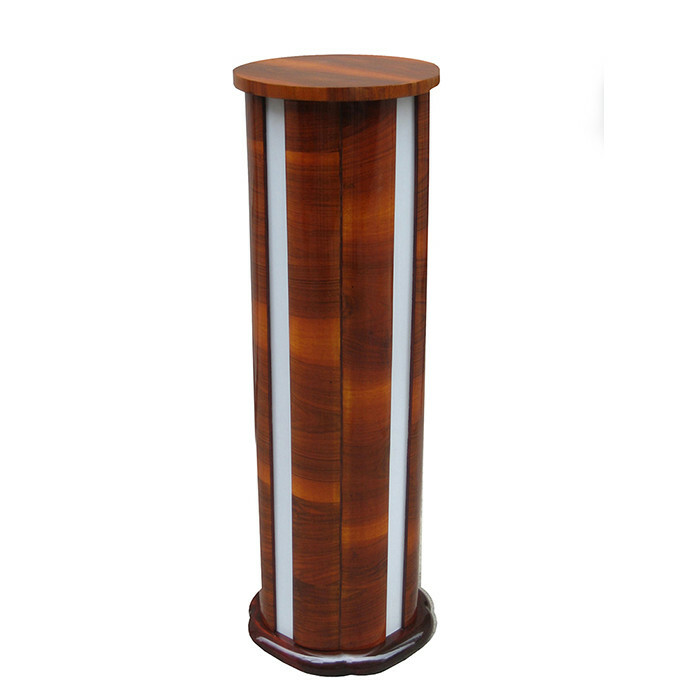 An Art Deco illuminated pedestal. French Walnut with four illuminated frosted glass panels. Dimensions: H:45¼ Top: 14½ Base: 15½ Inches.